Many things we understand, take for granted, and may even enjoy such as visitors coming to the house, bumpy car rides, and fireworks often scare our pets. We may be able to better understand some things that scare them such as going to the doctor, but your pet probably doesn't understand your fear of spiders. Your cat may show her stress in subtle ways, so it's important to learn to read cat body language. Once you identify what stresses your cat, the first step is to avoid these triggers as much as possible. This is because we can't work on introducing the trigger slowly and making your cat feel better about the thing or situation she fears if she's continually stressed by it. How would you feel if I threw a handful of spiders on you in an attempt to cure your spider phobia? If your cat's afraid of unfamiliar people, put her in a separate, closed room with food, water, litterbox, and resting places before your guests enter the house. Play white noise or calming classical music to drown out noises she may become fearful of. When your cat has to experience something scary, try Feliway® feline facial pheromone. It can help to decrease stress in some cats. It comes as a plug-in diffuser, spray to spray your cat's bedding/cat tree/other soft materials, and most recently as a wipe, which is great for wiping your cat's carrier before veterinary visits. If using the spray or wipe, allow it to dry for 30 minutes after application since it is alcohol based. Enrichment can not only help to combat boredom, it can also help to relieve stress and provide excellent mental stimulation. Schedule daily play sessions with your cat for 10-15 minutes 2-3 times per day. Use wand-type toys or other toys that don't encourage your cat to play with your hands. Cats have sharp claws and teeth and can easily injure you. 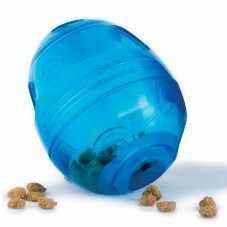 Feed your cat from food toys, such as the SlimCat™ or Pavlov's Cat toys. Put up most of the toys and rotate them weekly so the toys remain interesting. For those not adverse to it, you can give your cat a few live crickets in the bathtub to encourage her hunting instinct. 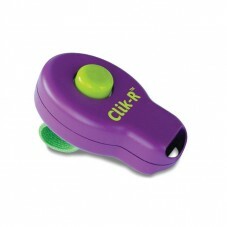 Clicker training is a great way to bond with your cat and teach her fun tricks. Bird feeders strategically placed outside of the window can entertain your cat, unless they attract outdoor cats that in turn stress your cat. Giving your cat outside time in a safe manner such as in an enclosed catio, leash walks, on a specially made cat harness, or in an enclosed pet stroller can provide great enrichment. However, there may be triggers outside that scare your cat, especially if she is not used to venturing into the great outdoors. 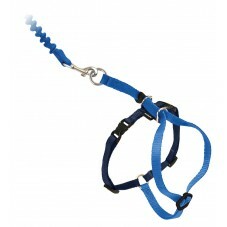 Take time to slowly introduce the harness or stroller and pair it with fun activities such as play and treats. If your cat becomes scared, it's human nature to try to pick her up and get her out of the situation, but be careful not to interact with or handle your cat when she is scared since she is at increased risk for biting, scratching, and injuring you. Also, be aware that sometimes providing limited outdoor access may lead to your cat waiting by the door and begging for more time outside. If your cat is stressed by other cats in the house, make sure to give her everything she needs, including litter boxes, hiding/resting places, and feeding/watering stations, in multiple locations throughout the house. This is to decrease competition for these resources and in turn help to minimize conflict. Cats also crave places that are high up, so clear off some space on a book shelf or add sturdy floating book shelves for your cat to climb up on. To address specific triggers of fear and anxiety, practice rewarding your cat for remaining calm when the trigger is presented at a low level. Then gradually increase the intensity of the trigger as long as your cat remains calm and relaxed, thereby changing your cat's emotional response to the trigger from stressful to happy. This is called desensitization or counter-conditioning. For example, if your cat is afraid of another cat in the house, have the cats at a distance from each other where they are relaxed and engage them in a favorite activity. You can pet your cat, play with a wand toy, clicker train your cat, or feed her a favorite treat during these sessions. Initially the cats may have to be far enough apart that this requires 2 people, 1 person for each cat. Only decrease the distance between the cats if they are calm, relaxed, and enjoying the reward. It's best to use a special reward that your cat only receives during these sessions. If your cat starts to display signs of anxiety (will link to article), aggression, or disinterest, then end the session and make it easier next time you start. Keep sessions short at 2-5 minutes since this is tiring for you and your cat. Try to make time for sessions 1-2 times per day. These steps are a great start to help your fearful cat, but some cats are so fearful or become aggressive and may need expert help. For guidance in creating a specific behavior modification plan for your fearful cat, talk to your veterinarian or find a veterinary behaviorist.